K7 Media’s Clare Thompson asks what the demise of Jamie Oliver’s FoodTube tells us about the changing online channels business. In September it was announced that the Jamie Oliver Media Group was to disband its FoodTube multichannel network, launched in 2013, then expanded to include DrinksTube, FamilyTube and 14 other talent-fronted channels including River Cottage, DJ BBQ and Cupcake Gemma. Coming after bad headlines about the group’s finances, there was suspicion this might just be another under-performing part of the business heading for the chop. But was the problem with the Jamie empire, or a sign of challenges to the MCN model – in food especially? MCNs became popular as a way to aggregate rising talent and share marketing and creative tools under a wider umbrella. The idea was that themed channel groups could attract more attention, sponsorship and sometimes TV commissions, but the model has been difficult from the start. Aggregators like Machinima were criticised for using ‘perpetual contracts’ on their content, and now Maker Studios has been tarnished by the alleged anti-Semitic antics of its key talent, PewDiePie, leading to the axing of his channel (but along with hundreds of others and many network staff – suggesting problems run far deeper). Meanwhile, YouTubers Caspar Lee and Joe Suggs are taking on a development exec to create shows for them, suggesting that doing just enough online to reinforce your personal brand may now be talent’s route of choice, while Endemol Shine Beyond will no longer manage YouTube channels. For Jamie, the MCN itself was never the goal in itself – it was about extending Jamie’s brand into new platforms and incubating IP and talent. Although the network generated 64 million views and 1.2 million subscribers, now the other talent are free to strike their own commercial deals, leaving Collins’ team to focus on driving revenues for Jamie’s own three channels. So if that initial purpose has been served, clearly the ongoing resource needed to support and find commercial partners for a network of talent is no longer outweighed by the benefits. Was Jamie in effect in competition with his MCN ‘family’ as well as all the other online food players out there? On Facebook, the list of top video producers is made up of food-related channels. Tasty has more than 58 million fans alone; and online food success stories include Elise Strachan’s My Cupcake Addiction (1.9 million subscribers, US$60,000 in monthly revenues) and British Instagram food and fitness star Joe Wicks, estimated to be turning over £1 million (US$1.2 million) a month. In these cases it’s the talent themselves reaping the benefits, but because there is now too much food content to all be profitable, if you can aggregate it with a low-cost, focused editorial voice and sell it with your in-house sales team, you have a route to profits – an opportunity the large content groups have spotted. TasteMade started four years ago in the US, but is now part-owned by Scripps Networks and has ploughed investment into rapid expansion as a global online portal with “tastemakers from anywhere – chefs and talent who don’t necessarily fit through a television lens who have large audiences and are super-talented”, according to its CEO. It has grown beyond being a YouTube business to one focused more on IP ownership and building an off-YouTube model, and having investors of the scale of Scripps has clearly helped. The firm’s strength is in varied content that can be viewed quickly on platforms including Facebook and Snapchat, sometimes without sound (the popular “hands only” format), but also narrative content to engage viewers for longer. TasteMade’s new slate covers food, travel, adventure, scripted, animation and comedy, alongside the ‘how to’ videos, and they have been able to both aggregate and produce it at low-cost with a team of 70 in its Santa Monica warehouse studio. The company now averages 1.5 billion views and 100 million active viewers monthly. Meanwhile, Buzzfeed’s Tasty portal uses highly developed analytics to create tailored content for an audience it really understands. Jamie Oliver’s Collins says BuzzFeed is a fascinating case study “as their key metric is shares and they understand the science behind sharing like no one else”. Although she claims that Oliver is a trusted name and that his company was not seeking to compete with others, it’s ironic that, despite being one of the early proponents of online, grassroots food content, now Jamie is competing for brand revenues in a field stuffed with huge global players. In Australia, where shows like MasterChef have created an extremely profitable sponsorship market, the last six months have seen News Corp launch a dedicated food network, Seven West Media unveil Foodiful, and Nine Network launch digital platform 9Kitchen to compete for brand dollars. While amateur chefs and vloggers may be the new stars, by and large it’s the multi-national brands and media corporations reaping the rewards. And while a big star like Jamie may be keen to create digital content directly for his audience, it’s still a tough job getting it paid for. If you’re not a huge multi-national, perhaps the MCN aggregation game is just more trouble than it’s worth. This article is adapted from K7 Media’s Digital Landscape Report 2017, which can be accessed here. 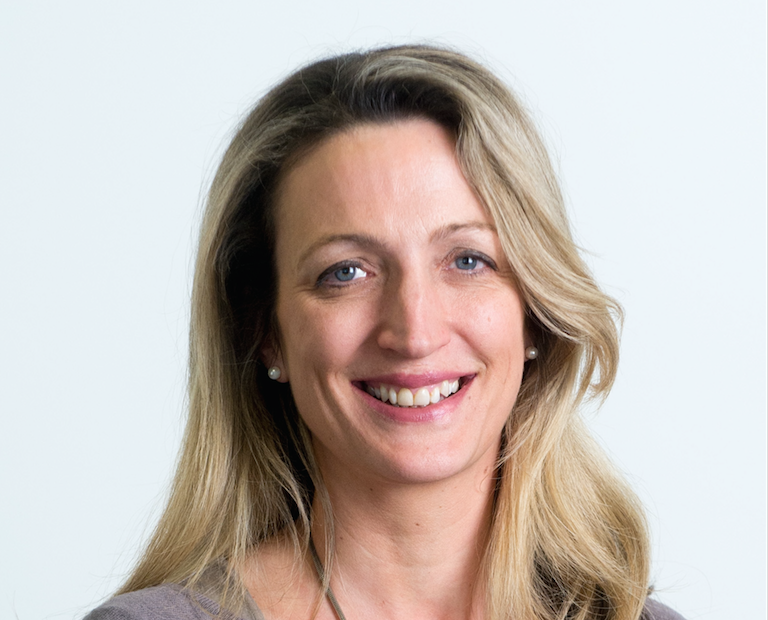 Clare Thompson is a non-executive director of K7, an independent organisation providing media intelligence to broadcasters, producers, distributors and advertisers across the world.